Premium and luxury cruises with an exceptional level of personal service. Let Celebrity Cruises sail you to the top ports of the Mediterranean Sea, the paradise islands of the Caribbean and the vibrant rhythms of Central America. Enjoy a close to home cruise holiday on board the Celebrity Solstice, who summers Down Under every year. Book the ship’s new Suite Class experience and discover New Zealand and the South Pacific. Celebrity Cruises accommodation is known as one of the most spacious at sea – certainly a bonus on those relaxed at sea days. Teenage cruisers will appreciate Celebrity Cruises’ extensive onboard entertainment programme, created especially for them. Celebrity's Suite Class has an exclusive restaurant, with dishes created by Celebrity's featured chef, James Beard. The scrumptious dishes are inspired by the local destinations and prepared with the world's best ingredients. You have a choice from over 500 wines with a certified sommelier and can even have tailor-made dishes prepared just for you. Embark for ten nights, and take in all the Pacific Islands have to offer. The wide variety of coral reefs and fish that inhabit its waters make snorkelling in Mystery Island an experience like no other. 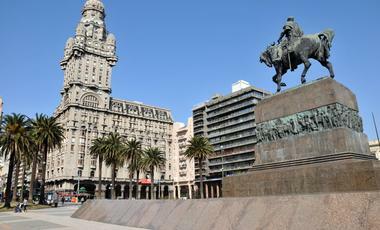 Visit Argentina and Chile on this 14 night South America cruise. For anyone interested in doing some shopping, Ushuaia is a haven for duty free shopping. Waitangi Treaty Grounds is considered one of the most important historical sites in New Zealand. 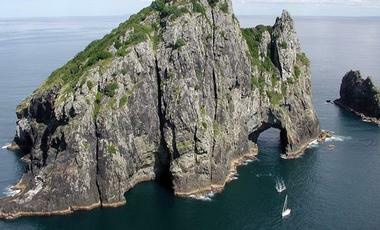 Make sure to pay a visit when in Bay of Islands. Celebrity Solstice is one of most modern ships in the Celebrity fleet. She was built in Germany in 2008 and is known for its large selection of cabins and especially for its extraordinary free time offerings. The Celebrity Eclipse is part of the Celebrity Solstice class that is famous for its award-winning architecture and unique design. Numerous specialty restaurants are just one of the countless highlights on board this ship. Celebrity Equinox is the essence of premium cruising, with every imaginable comfort, unrivaled guest services, superb choice in dining and grand onboard entertainment. Celebrity Millennium offers unforgettable, breathtaking journeys. Feel like you are in a luxury hotel on board as you enjoy extensive spa treatments and exclusive restaurants. With a length of 90 meters, the Celebrity Xpedition is an ideal ship for exploration: exclusive but cosy; small but exciting. The Celebrity Infinity is an ideal way to cruise, with a blend of beautiful design, fine dining options and comfortable cabins all contributing to a holiday experience you will not forget. Celebrity Xploration - this intimate ship in a class by herself offers indulgence to her 16 guests as it travels to her ports of call. This ship is suited for getaways and get-togethers for those who want to explore! Celebrity Apex - the second ship in the new Celebrity Edge Class - marks a whole new approach to ship design. You will feel connected to the sea while sailing the European and Caribbean waters. Celebrity Cruises was first established in 1988 and merged with Royal Caribbean Cruises in 1997. The company’s head office resides in Miami, USA. Celebrity Cruises currently has 14 ships, which are divided into 4 classes, including Solstice, Millennium, Edge and the Xpedition. Celebrity Cruises has received many awards for its service, including the “Best Premium Cruise Line” and “Cruise Line of the Year” in 2018. Celebrity proves time and time again to provide the perfect cruise experience with premium class ships boasting exotic itineraries. Celebrity Cruises is working closely with many charities – both local to the communities of its employees and global, affecting millions of people around the world. Celebrity Cruises have partnered with the World Wildlife Fund to help take ocean conservation to new a new level, as they are committed to preventing pollution and protecting the environmental resources. Celebrity Cruises promise to become totally plastic-straw-free by 2019. Within the Solstice class of ships are Celebrity Eclipse, Celebrity Equinox, Celebrity Solstice, Celebrity Reflection and Celebrity Silhouette. Built in Germany, the capacity of the ships are 2,850 persons. The Solstice class ships features a unique area called the Lawn Club, where you’ll discover half an acre of real grass. The perfect place to enjoy a picnic or play a game of croquet under the sun, that you won’t find on any other cruise lines. There are also many amazing stage productions onboard to entertain the whole family. The Millennium Class features four ships: The Constellation, the Infinity, the Millennium and the Celebrity Summit. These are some of Celebrity’s most loved ships and have been delivering top service since the early 2000’s. The star of the show, Celebrity Infinity, a ship with a thriving culinary scene, is where you can try exquisite dishes inspired by every region you visit. Celebrity Cruises provides ultimate relaxation on board with the large Aqua Spa area that provides rest and rejuvenation during your trip. There is also a conservatory in which there are gorgeous glass and flower creations. The Xpedition class offers passengers exciting adventures around South America and beyond. Guests can sail aboard the Celebrity Xpedition, Celebrity Xperience or for a most personal experience the Celebrity Xploration which takes 16 passengers. These smaller ships allow you to travel to many exciting destinations such as the Galapagos Islands. The cruise ships have the Discovery Lounge on board, where you will be given information about flora and fauna. With a wonderful view, you can relax in the Blue Finch Bar at end the day. The cabins are stylishly and elegantly furnished, with exquisite attention to detail. Celebrity cruise ships will give you everything you desire and more. The suite class of cabins includes a private butler and sundeck, so you can feel pampered and well looked after, while the aqua class staterooms feature a private balcony to truly unwind in the comfort of your own company. Suites for the whole family or for a more romantic getaway are also an option, as Celebrity Cruises provides the perfect stay for whatever type of cruise you’re looking for. Their staff are always on hand should you wish for anything, not to mention 24-hour room service. The outstanding Aqua Spa area ensures that you will be well pampered during your holidays with Celebrity Cruises. Recharge your batteries in the wellness centre where you can choose between spectacular variety of spa treatments and massages available. Celebrity Cruises ships also feature whirlpools, swimming pools and even a fitness centre to maximize the enjoyment of your trip. Celebrity ships are well-equipped with jogging courses and golf simulators are available onboard some of the ships. Top class entertainment and live music is a given on any Celebrity Cruise voyage. You’ll be blown away by one of the main stage productions, or maybe you’ll opt for something a little more laid back. Enjoy a live jazz concert at the Lawn Club as you enjoy a drink and a sun set at sea. Celebrity Cruises prides itself on providing the perfect balance of world class entertainment and blissful relaxation, so you can choose how you spend your time onboard. For the duration of your stay, selected incredible dishes are served. Different ships offer a range of specialty restaurants such as the steak restaurant or the wellness restaurants. Book now with CruiseAway for the best deals on a Celebrity cruise. The three most distinctive things about Celebrity Cruises are luxury, service, and dining. This is a cruise line that specializes in providing the ultimate exclusivity for all its guests. Feats of technical and architectural achievement, all of Celebrity’s ships are comfortable, spacious and modern. Oh, and let’s not forget the unbeatable range of destinations across the globe. Celebrity Cruises boasts it will take you to places that most will only ever dream of, and it is as good as its word. Some of the highlights involve experiencing the vibrant cities and cultures of Asia, being awed by the unbelievable natural beauty of Alaska, and indulging your senses on a Panama Canal cruise. Whether you seek to discover new wildlife on the Galapagos Islands or bask on the famous pink beaches of Bermuda, Celebrity Cruises explores over 300 destinations in 79 countries. 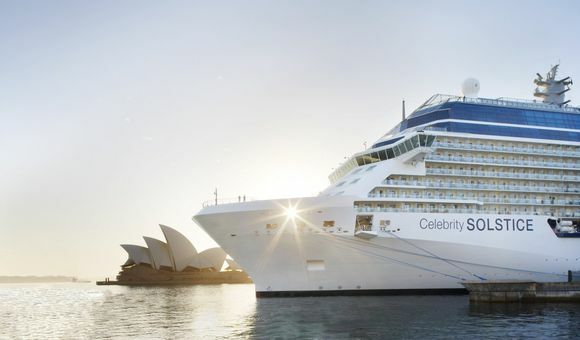 Celebrity Cruises will continue to impress with The Celebrity Revolution, which begins in 2019 with the rebuilding of the Celebrity Millennium. By 2023, Celebrity Cruises plans to completely modernize their fleet and offer newly designed ships with a revolutionary cruise experience. Cabins will offer guests a whole new level of comfort. Guests staying in the luxurious suites will have exclusive access to the Retreat Deck and the Retreat Lounge. Culinary highlights of the refurbishment include Qsine restaurant and Oceanview Cafe, which will take the cruiser into a new “world” of exquisite dining. With the modernization of the fleet, all ships will stand proudly alongside the brand new Celebrity Edge, making her maiden voyage in 2019. When it comes to stepping off the ship and immersing yourself in your new environment, leave the hard work to Celebrity Cruises. 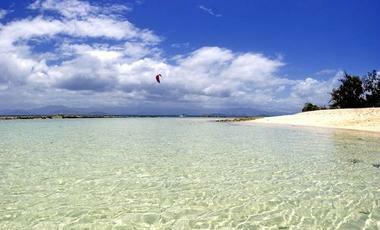 If you so desire, they will organise all your shore excursions as well as your transport. You just have to turn up!